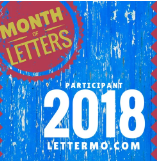 Longstanding readers of The Landing will know that February is the time for my contribution to the Month of Letters Challenge (#LetterMo). American writer Mary Robinette Kowal runs the letter writing challenge and you can check out the Month of Letters website for details if you want to jump on board. I have always loved both writing and receiving letters and I am also a great hoarder of letters. I have stopped throwing old letters out in a fit of spring-cleaning, as I have discovered that that way lies regret. I used to have a French pen friend when I was at school (though I don’t think the relationship lasted for long) and I wish I still had the letters. The Bookworm recently asked if she could read some of the letters between me and my school friends (just think, we actually used to write to each other in the summer holidays, how quaint was that!) The nice thing is that I have letters going back for many years, from people with whom I am still in contact. What will people do in the future when they want to have a burst of nostalgia? Comb through their email archive I suppose. Methinks it hardly sounds like an enticing prospect. It did occur to me that I should have my own mini challenge to re-read an old letter on every day of the month, but I think after all that I will just stick to writing to people in February. Maybe I will save re-reading letters for the dark, chilly November evenings by the fireside. This year, by way of a change I have decided to write postcards for everyone, from my lovely box of Penguin book jacket postcards. My original aim was to try to match a person to a book postcard, but I’m not sure how realistic that will be to manage. So far, I think I have done reasonably well matching two friends who like gardening and cooking respectively, with an appropriate choice of book title. I also despatched an art-themed postcard to a creative artist friend, so far so good. Ideally, I would like to match each recipient with a favourite author, book, genre or topic as far as possible. However, I have been through the box a few times now and I have discovered that some book titles might be difficult to place with a home. I suggest Scootering: a Penguin Handbook or Common Sense about Smoking: a Penguin Special as uncommon choices for uncommon readers. On the fiction front while Orange Penguins, A Severed Head (Iris Murdoch) and Vile Bodies (Evelyn Waugh) are fine as books, would you choose to send them as a postcard design unless you were sure of a good reception? rather nice postcard calendar (marked down to clear) so that I need never be short of something to send. For this year’s letter writing challenge a special Month of Letters postcard design was available to order so I splashed out on a bundle of them. I am pleased to say that today is the First Anniversary of The Landing Book Shelves Reading Challenge. There was a time when I thought that I would fall by the wayside, but I am pleased that I managed to stick with it this far. I have enjoyed having a go at blogging and I have taught myself a few WordPress skills in the process. Having the blog has also ‘landed’ me with a marvellous excuse for reading more books! Of course when I have finally finished my Landing Eight bit of the Reading Challenge then I will simply have to begin all over again with another random pile culled from the shelves. By way of an anniversary (or perhaps it should be birthday?) gesture I have chosen to post up a rather jolly picture from The Diary of a Nobody, depicting Mr and Mrs Poooter taking a few frivolous turns around the room. The occasion for celebration was their invitation to a party at the Mansion House. The illustrations, drawn by Weedon Grossmith are so good that it would be difficult to pick a favourite, but this one fits my purpose today just nicely. I cannot tell what induced me to do it, but I seized her round the waist, and we were silly enough to be executing a wild kind of polka when Sarah entered, grinning, and said: “There is a man, mum, at the door who wants to know if you want any good coals”. Most annoyed at this. It is not clear whether Mr Pooter is annoyed at the interruption of his impromptu dance session or at being caught doing something silly by the maid. The episode describing the actual Mansion House dinner and ball is very entertaining as Mr Pooter is rather shocked to find that some of the tradespeople he deals with have also been invited. I do urge anyone who has not yet encountered the Pooters and their friends to get hold of a copy forthwith and make their acquaintance. Meanwhile I will be busy with Mary Robinette Kowal’s February letter writing challenge Month of Letters (hashtag #lettermo) and embarking upon a web design course. I also hope to have a bash at reading another book from the Landing Eight challenge. I know it might seem rather conceited to be re-blogging myself (albeit with a different hat), but I am keenly awaiting the start of February to get stuck into letter writing. This will be the second year that I have tackled Mary Robinette Kowal’s wonderful letter writing challenge. The re-blog is to help spread the letter writing bug as far and wide as possible! While having a quick browse in the recently returned section of the library last Thursday, I spotted a novel by Mary Robinette Kowal, Shades of Milk and Honey. Attentive readers of this blog will be aware that the American author was also responsible for organising the February letter writing challenge A Month of Letters in which I participated (with admittedly mixed results) this year. If you missed it, catch up with the post here. Kowal’s novel is an Austen inspired comedy of manners with a fantasy element that was nominated for the Nebula Prize 2010 in the Best Novel category. One of the reviews (RT Book Reviews) says it ‘includes ethereal events, exquisite prose, delicately drawn characters, and tender emotions.’ It sounds temptingly delicious but I have just begun my book club novel, David Mitchell’s Cloud Atlas so it must remain firmly untouched on the bedside table for a while. And as for the proper business of reading the next Landing Eight choice…..I leave you all to guess. After the dedication of my #LetterMo writing challenge efforts have faded gently away, I have decided to return to the compendium of historic letters that I mentioned in one of my earlier entries. 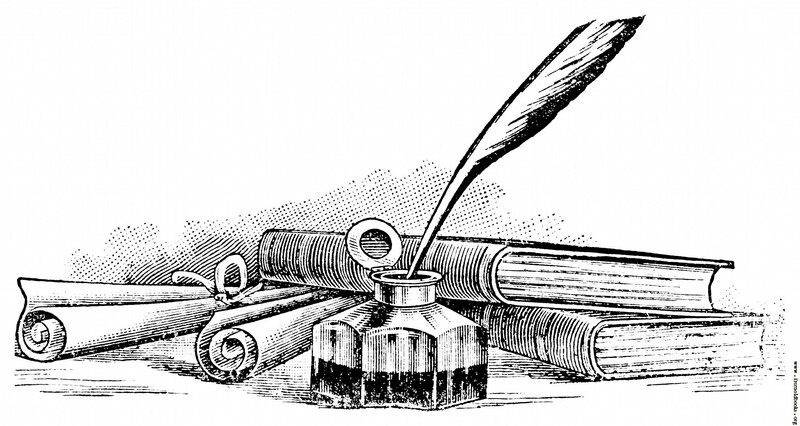 Having struggled to post at least one item of correspondence every day for a month, I can truly say that I stand (pen poised) in awe of the sheer effort involved in letter writing pre-Microsoft Word technology. After all, even keeping up with just a few relatives in the last century would have been a Herculean task. But thank goodness that so many people did just that, providing a mine of information and insight that would otherwise have been lost to later generations. One of the epistles in The World’s Great Letters is one from Louisa M Alcott to her sister Anna and while it could not be claimed to hold huge historical importance, it does give you a glimpse into the life of a would-be writer who was struggling to support her family. Alcott was also mired in domestic chores as well as suffering the frustration of waiting for editors to reply to her story submissions. I extracted the remains of the old white ribbon (used up, as I thought, two years ago), and the bits of black lace that have adorned a long line of departed hats. Of the lace I made a dish, on which I thriftily served up bows of ribbon, like meat on toast. Inside put the lace bow, which adorns my form anywhere when needed. A white flower A.H. gave me sat airily on the brim, – fearfully unbecoming, but pretty in itself, and in keeping. Strings are yet to be evolved from chaos. I feel that they await me somewhere in the dim future. All this occurred before Alcott struck gold with the phenomenally successful Little Women, which was published in 1867. At that time, she was still a ‘young woman with one dollar, no bonnet, half a gown and a discontented mind’ as she described herself. In one of those moments of literary serendipity, I spotted Louisa May (Martha Saxton, 1978) while rummaging in the Trinity Booksale on Saturday. I was meaning to re-read Little Women after seeing the sell out production last month at Dublin’s The Gate Theatre. As Little Women and its sequels reside on the landing I can justify doing just that, but I will have to make (yet another) exception for reading the Louisa May Alcott biography. But, one of the joys of reading is that you never know what is going to be around the next corner of the bookshelf!